With over 40 years of experience in the hospitality industry, Jim Stamas is an accomplished executive specializing in hotel development and management. Retired Senior Vice President of Omni Hotels and founding Dean of the School of Hospitality at Boston University, he is currently the founder and president of Stamas Partners. 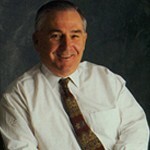 Jim Stamas began his hospitality career in the Boston corporate office of Sonesta International Hotels. In 1973, he joined Dunfey Hotels, which later became Omni Hotels, from which he retired as Senior Vice President and Chief Administrative Officer. During his tenure, Jim was a member of the senior leadership team that transformed Omni into a major national hotel company. He retired from this position in 1988 and founded Stamas Partners, a management consulting firm providing services to the hospitality industry. Due to his diverse and extensive background in the hospitality industry, Jim became the founding Dean of the School of Hospitality at Boston University in 1995. With his leadership and guidance, this institution is now one of the premier hospitality schools throughout the world. In August 2011, he retired from this position with emeritus status. Jim currently serves on the board of Massachusetts Lodging Association’s (MLA) Educational Foundation and chairs a Boston union/management benefits board. He has also served as Chairman of the Executive Board for both the Whittemore School of Business and Economics at the University of New Hampshire and the Advisory Board for Boston University’s School of Hospitality. He served as Chairman of American Hotel and Lodging Association’s (AH&LA) Human Resources and Labor Relations Committee, as a Director of Yorkshire Restaurants, BUCA, Inc. and Panatech Research and Development Company. In recognition of his successes, Jim received the American Hotel and Lodging Association’s Educator of the Year Award in 2007, as well as, the Massachusetts Lodging Association’s Volunteer of the Year Award.